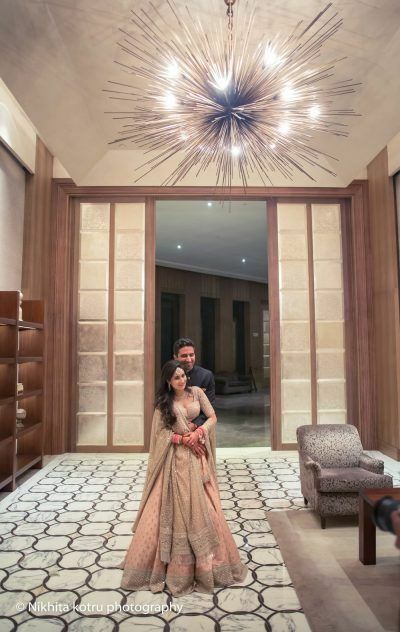 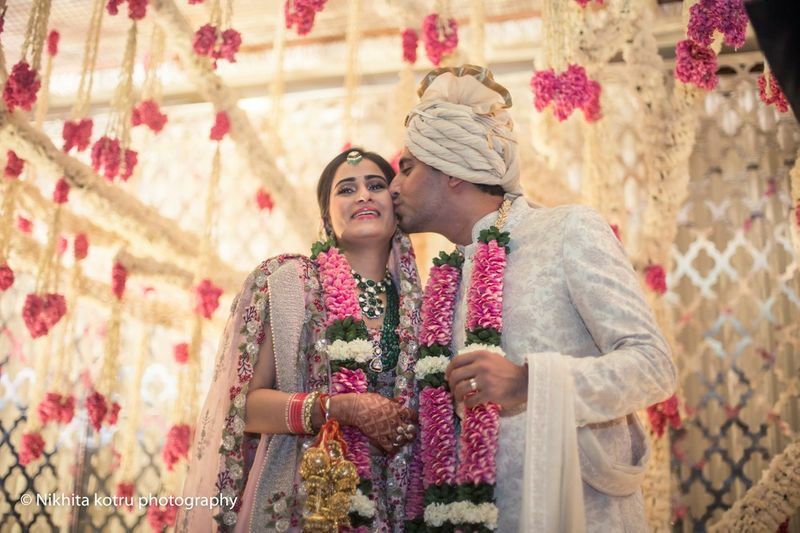 What we really loved in this wedding was the Mughal minimalism you could see throughout the pictures. 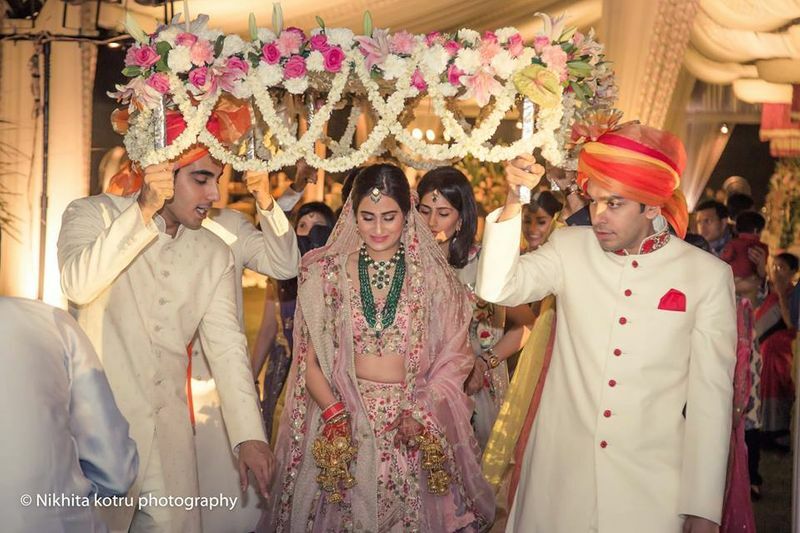 Right from the brides gorgeous lehenga in the most beautiful onion pink to the mogra flower decor which was opulent yet elegant . 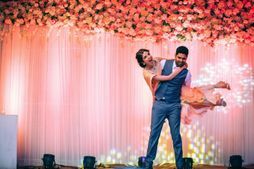 Photography by Nikhita Kotru Photography was as slick as they come and the venues, Sanksriti Greens and Hyatt made for great backdrops. 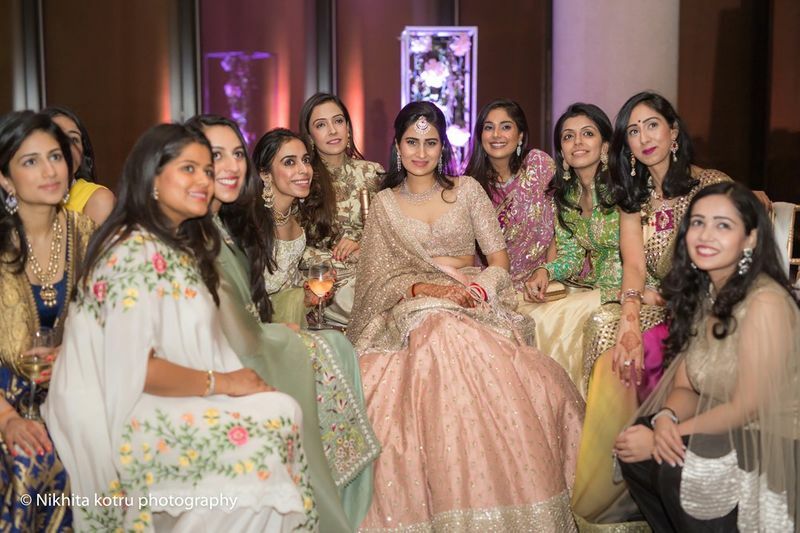 We met in November 2015, nearly 2 years ago through some common friends during one of Umang's trips back to Delhi. 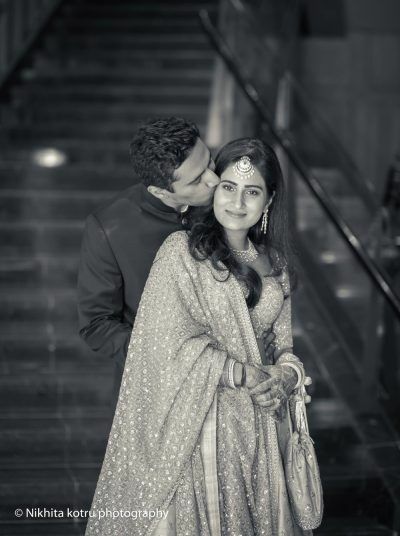 We dated for a year and got in engaged in Paris in November last year- it was the most magical moment of my life. 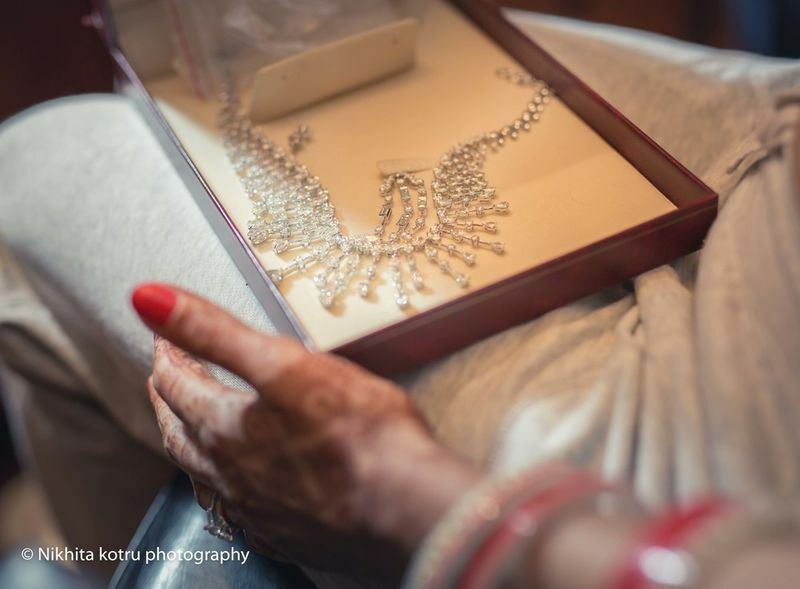 I wanted my wedding to be as special and beautiful as my proposal. 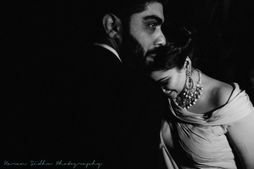 It had to be grand, fun, emotional.. and everything in between. 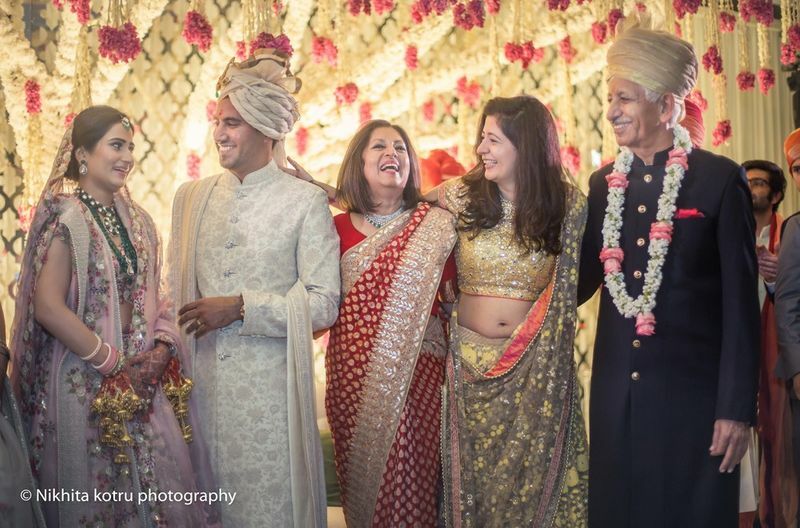 It was a beautiful 3-day celebration of love and I wanted all our friends and family members to feel involved and important. 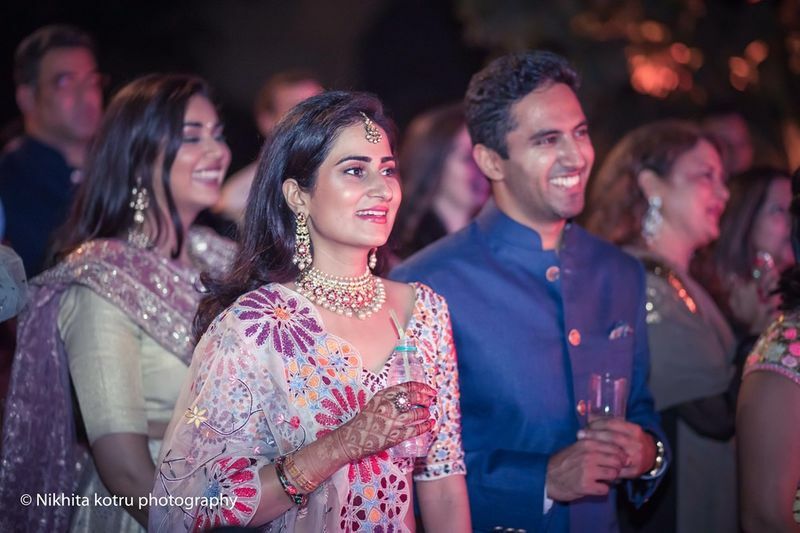 So many people made the effort to come from different parts of the world for our wedding and I wanted them all to have a great time. 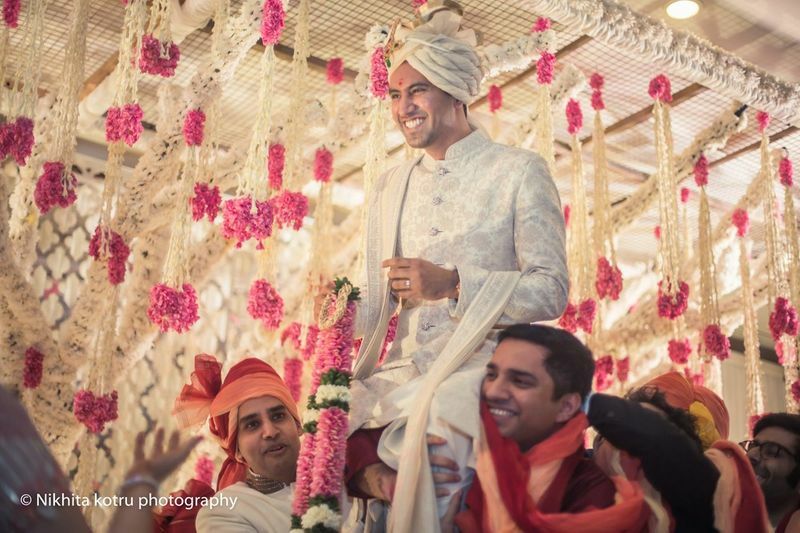 Beautiful Mumbai Wedding With Two Ceremonies ! 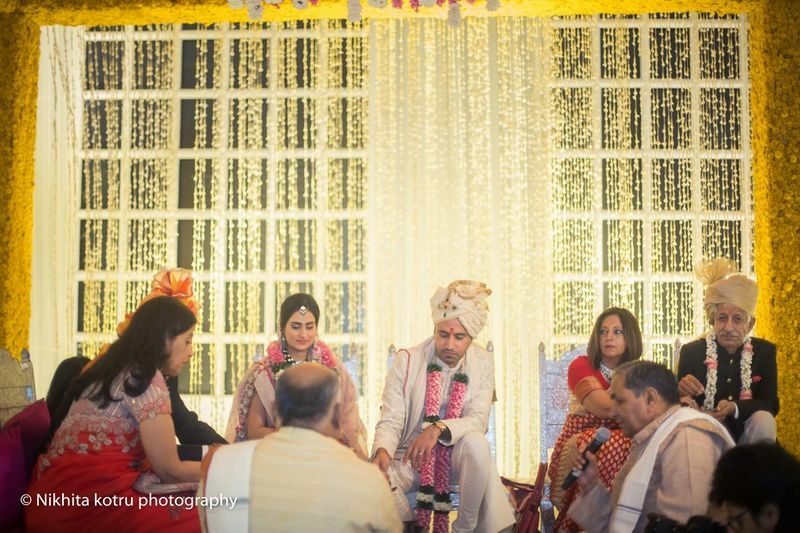 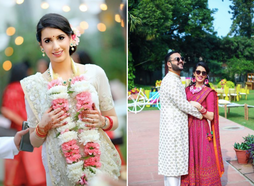 Beautiful Farmhouse Parsi Ceremony In Delhi With A Dash Of Elegance! 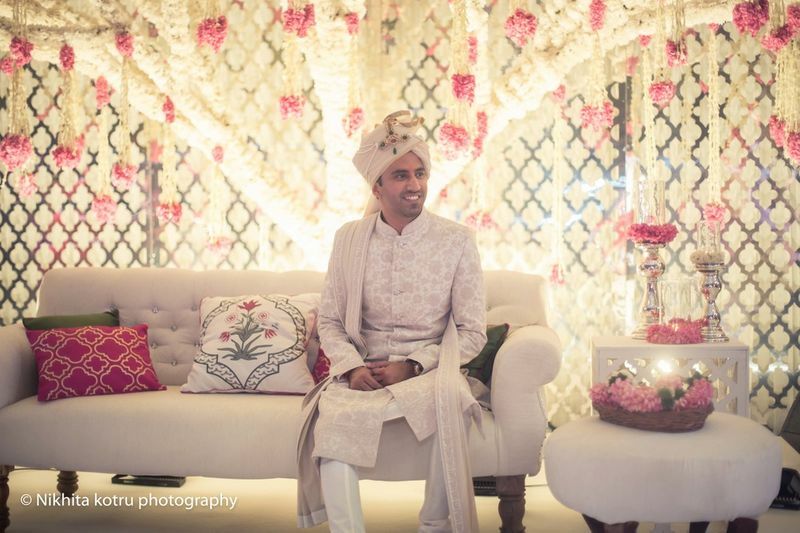 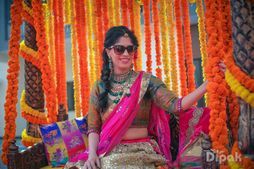 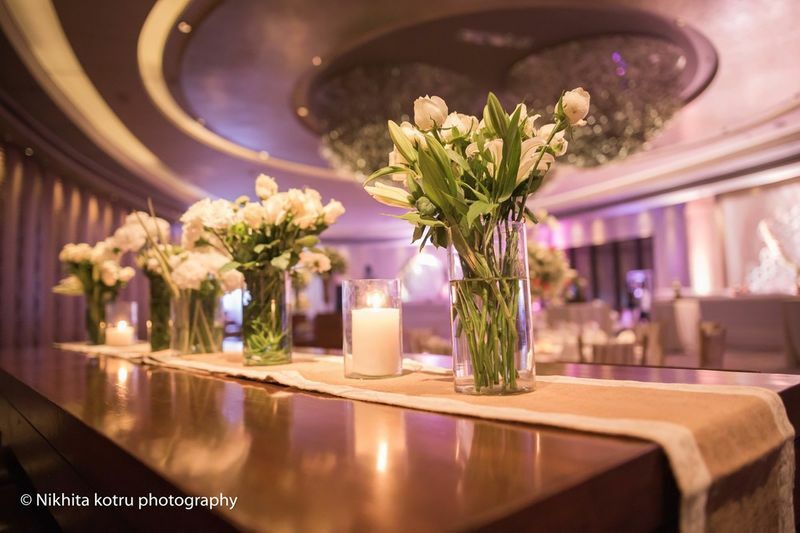 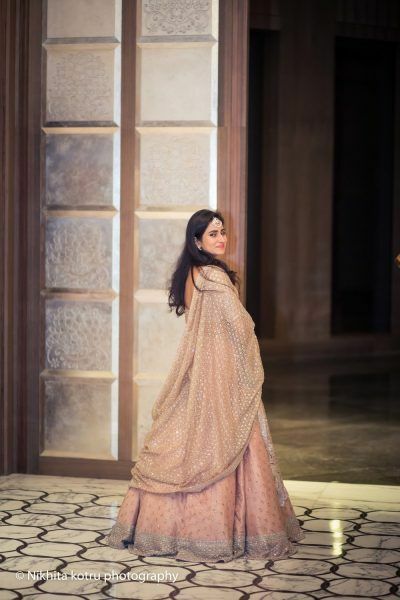 Glam Delhi Wedding With Oodles of Fun! 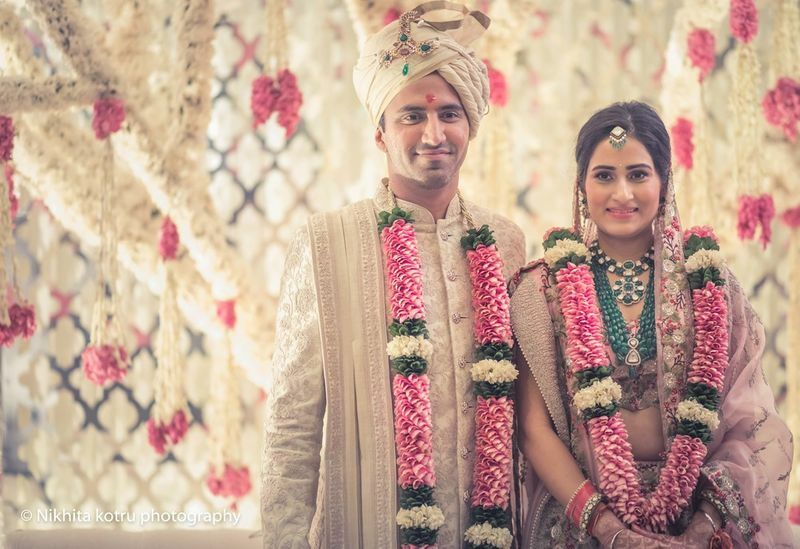 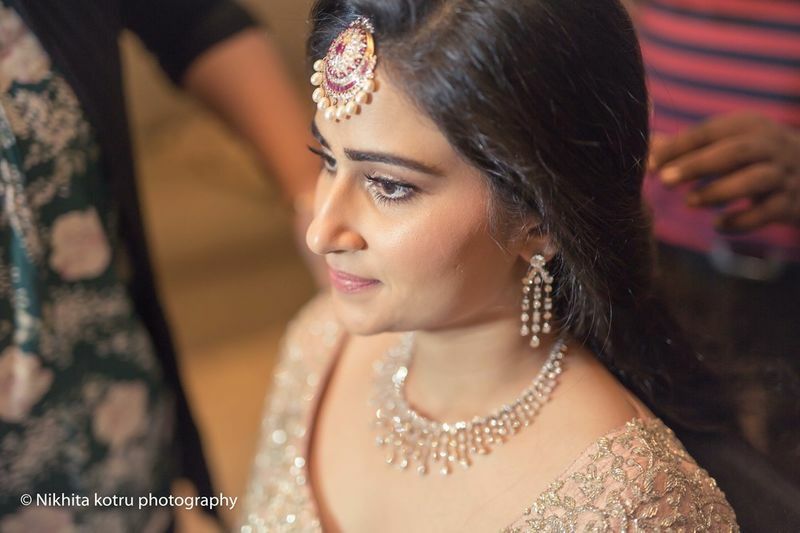 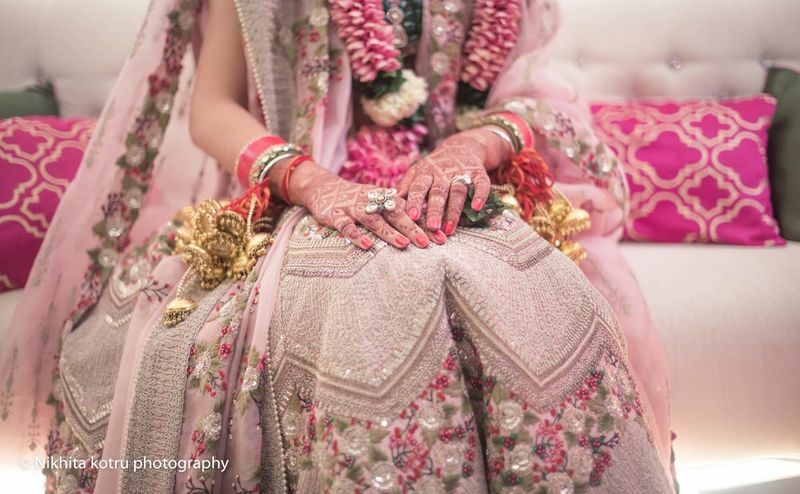 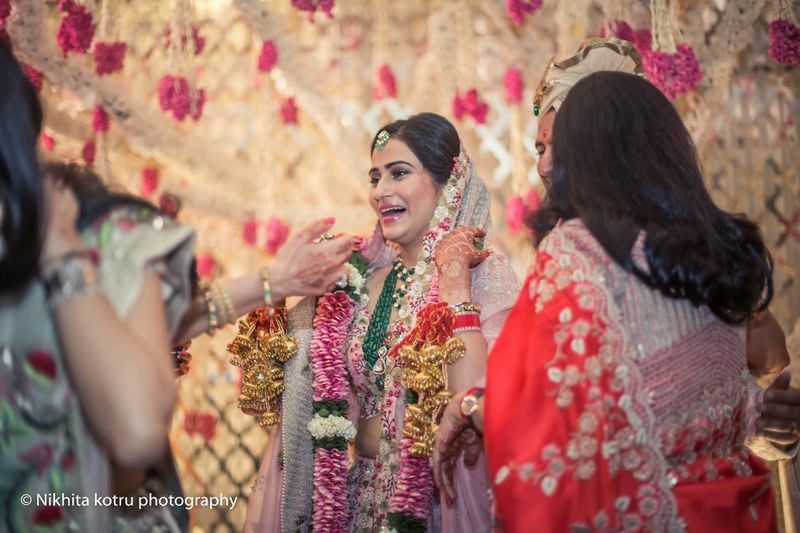 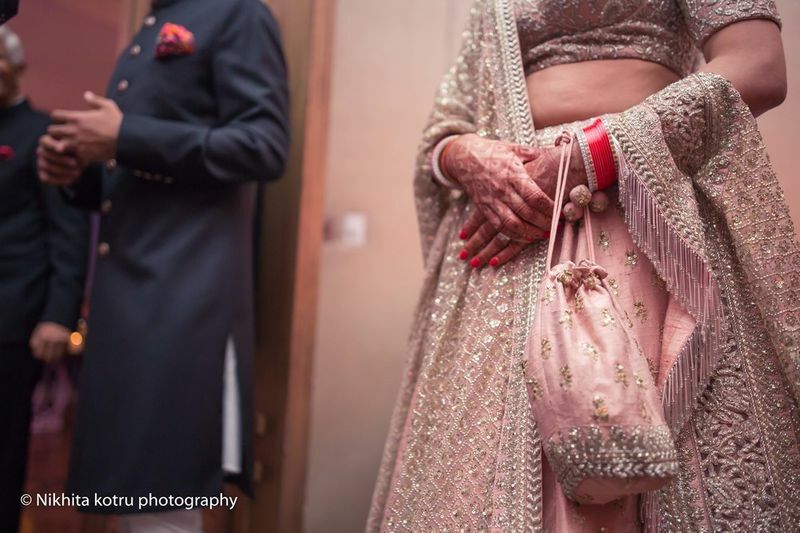 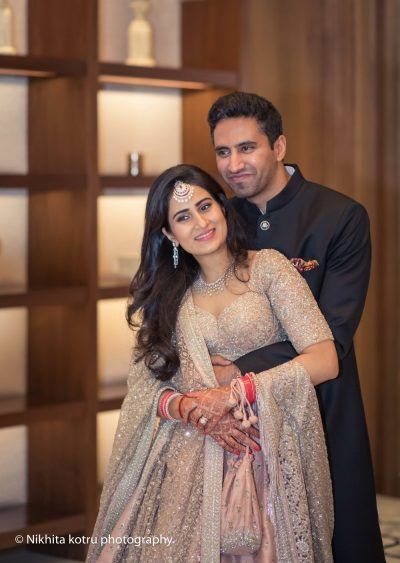 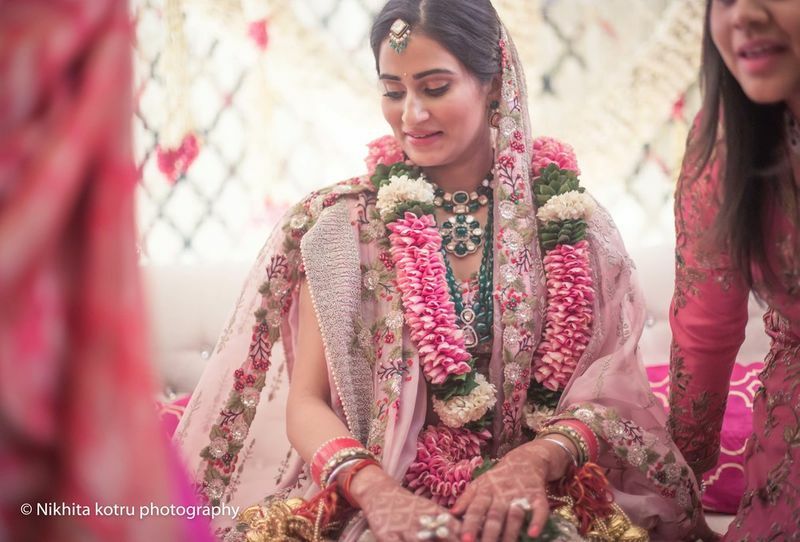 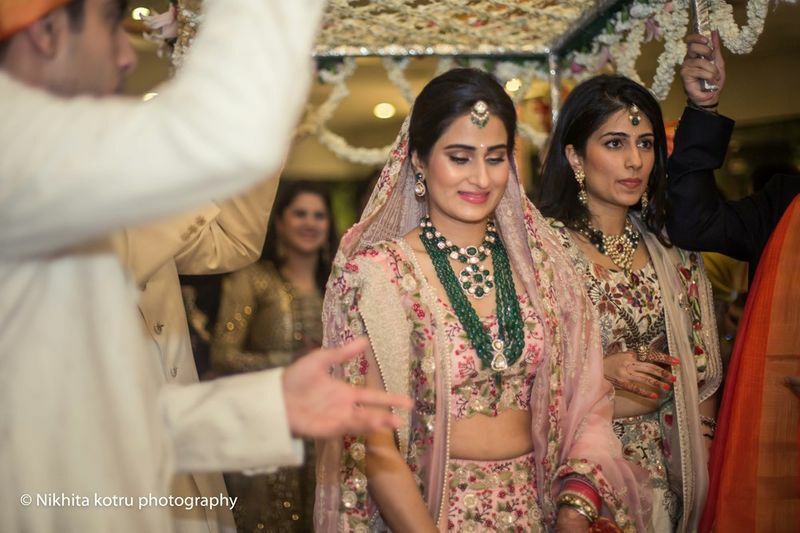 Gorgeous Delhi Wedding With A Bride In An Offbeat Lehenga Colour! 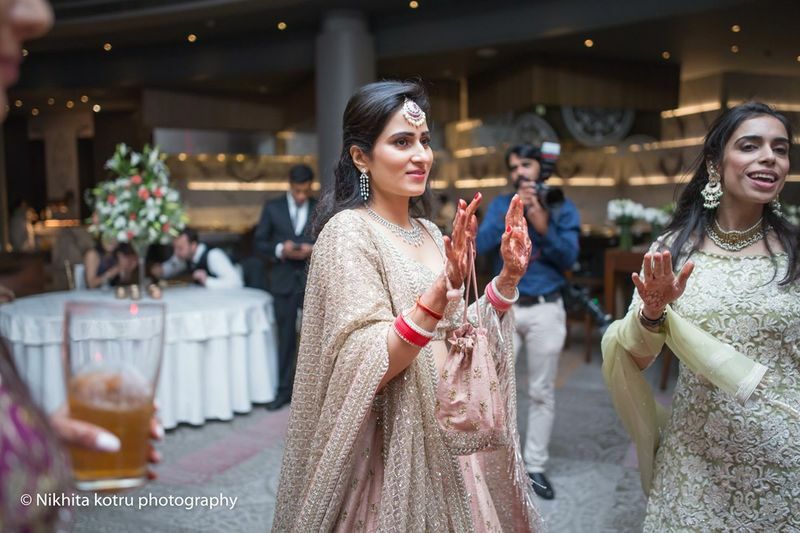 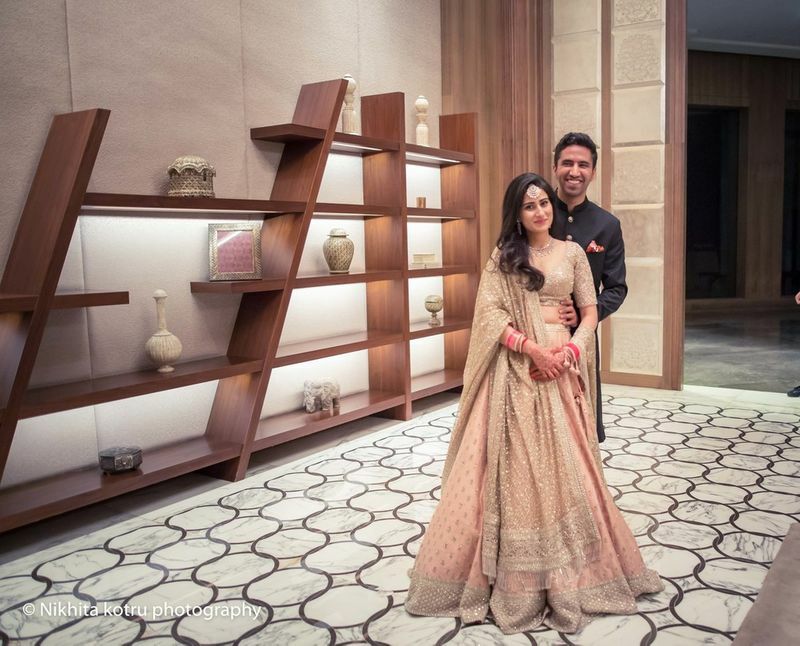 Minimalistic Delhi Wedding With A Bride In Resplendent Red!